Where, Oh Where, Does Windows 8.1 SoundRecorder Store it’s Files? 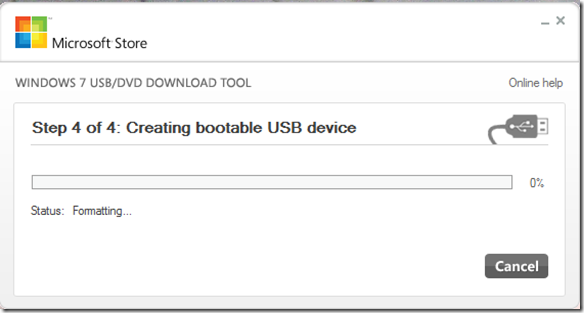 If you want to install Microsoft Windows 8.1 from a USB drive, you will need to make that drive bootable. 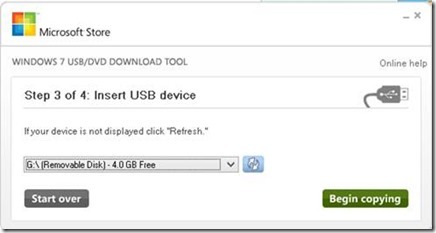 If your USB drive contains the Windows 8.1 installation files (i.e. 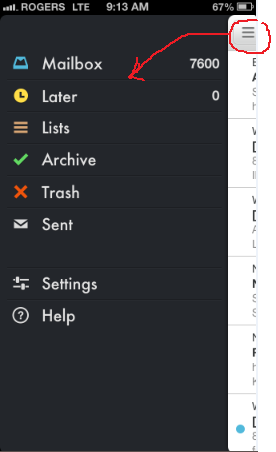 unpacked from the Windows 8.1 .ISO file). Option #2: The Windows 7 USB/DVD Download Tool can be used: http://www.microsoftstore.com/store/msusa/html/pbPage.Help_Win7_usbdvd_dwnTool. 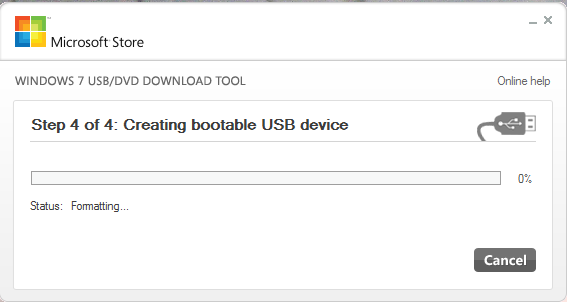 This tool is used to make a bootable USB drive (or DVD) to install Windows 7 or Windows 7 applications, but it also works to take an .iso image of Windows 8 and create a USB bootable version. Note: in Step 1 you will want to select your Windows 8.1 .iso file. 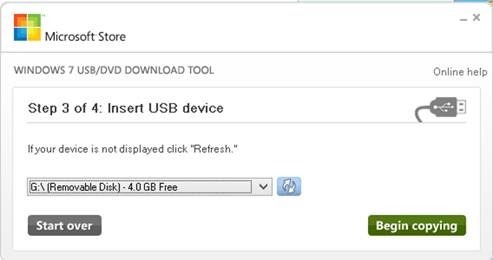 During Step 2 when the tool asks you to Choose the media type to create your Windows 7 backup – this is actually the destination of the Windows 8 bootable USB drive! Newer laps might have a “Legacy” boot menu and a UEFI BOOT menu. If you cannot boot to your USB drive, try the UEFI option. UEFI = Unified Extensible Firmware Interface and is a newer replacement for BIOS. You can use Diskpart (see above) to convert the disk from MBT to GPT (“select disk n” and then “convert gpt”) but you cannot do this in a dual boot scenario because when you try to convert it to GPT you will get an error: “The operation is not allowed on a disk that contains a pagefile volume” (i.e. the existing Windows 7 operating system). 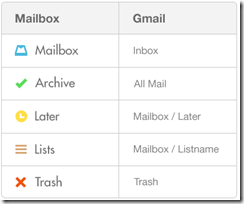 See “Windows and GPT FAQ” for more information. 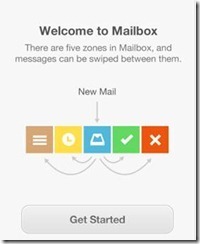 Below is an easy pictorial overview of the user experience with the Mailbox app and a Gmail inbox. 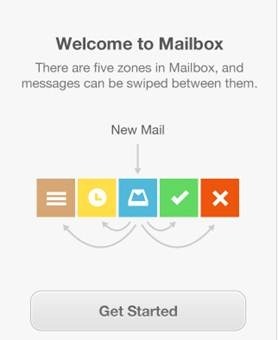 In a nutshell – this app is successful because you can deal with email in one swipe – that is: move it from your “mailbox” (your attention span) with one of 4 actions: Snooze, Archive, Delete, Categorize. 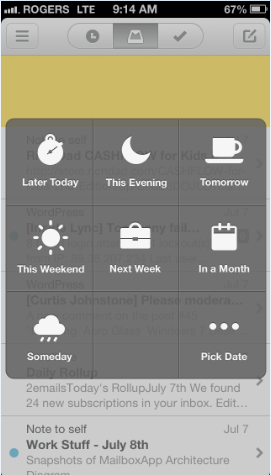 Tip: everything you do in the Mailbox app is reflected in the Gmail client. 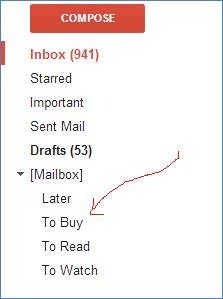 Personally I don’t like this because it messes with my native experience, but others who buy into the zero-inbox philosophy will love it. 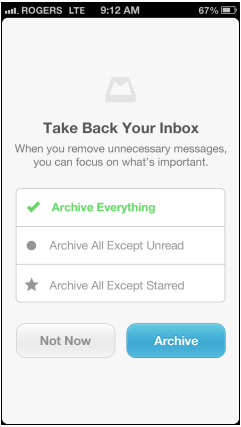 It Subscribes to the “Zero-Inbox” Philosophy – first run offers to “Archive Everything” to get you started. 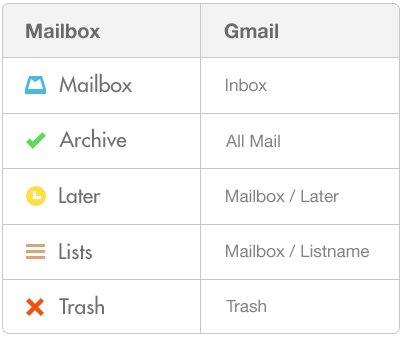 I forget where I got this from, but it is a shortcut that saves a lot of time. 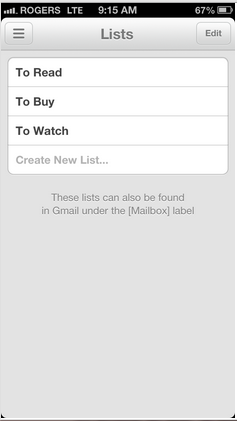 Just enter the name of an AD user or group and hit search. Microsoft SQL has a fixed system administrator role named “sysadmin“. If a Windows user (credentials) has this role, they have system administrator rights. The sysadmin role is per SQL instance, not per deployed SQL “server”. To check whether a user has sysadmin rights to a particular SQL instance, follow these steps (as outlined in http://support.microsoft.com/kb/946686). Connect to the SQL Instance. Expand the Security node, and then click Logins. 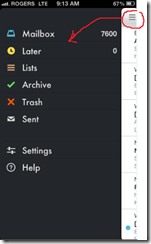 Find the Windows User and right-click the user’s name, and then click Properties. An External network provides communication between a virtual machine and a physical network by creating an association to a physical network adapter on the physical host. This is also known as a Virtual Switch. Each external virtual network is bound to a physical NIC adapter, and there can only be one external virtual network per physical adapter. Any virtual machine using an external virtual network can access your entire network – including the Internet if the underlying physical network has Internet access. A Private Network provides communication between the virtual machines on the server. You can view the existing virtual networks available on a Hyper-V server, or create new ones, in the Hyper-V management console. Once you have selected a Hyper-V server (physical) in the console, select “Virtual Network Manager…” either in the Actions menu on the right-hand-side, or right-click on the Hyper-V server. Now the bigger issue if you are running a Hyper-V Virtual Image on a machine with only a wireless connection (likely on a laptop), is that Hyper-V does not support creating a virtual network driver that is associated with a physical wireless adapter. In a nutshell you create an internal virtual adapter that is used by the VM, and then share the physical wireless adapter with it. You will see many references to creating a Virtual Switch in Hyper-V. Know that in Hyper-V parlance this is the same as an External Virtual Network. This sounds simple, but when you are trying to understand what is possible in the realm of Hyper-V networking it is easy to get confused and it help to understand they are both implemented the same in Hyper-V, but can provide functionality that mimics a physical switch and a virtual adapter that accesses a physical network. Note: in Hyper-V you can only create one external virtual network (or virtual switch) bound to each physical NIC (adapter). You will the reference to ‘partitions’ when you first start learning about Hyper-V and networking. A good and simple explanation of what this means is located in Figure A of this article: Configuring Virtual Networks With Hyper-V (http://www.petri.co.il/configuring-virtual-networks-with-hyper-v.htm). I have been asked to do this by enough people it warranted a quick blog entry. 1] Amazon Kindle eReader for Windows. 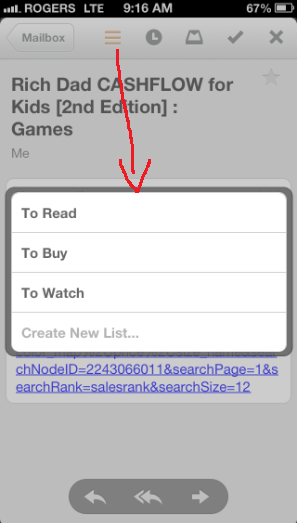 One disadvantage is that you cannot export or share (at least easily) your personalized notes and highlights for non-Amazon store books – which include .mobi files. Calibre is a good general purpose eReader that supports all major formats. The biggest disadvantage as an eReader is that it is a heavy footprint for just an eReader.